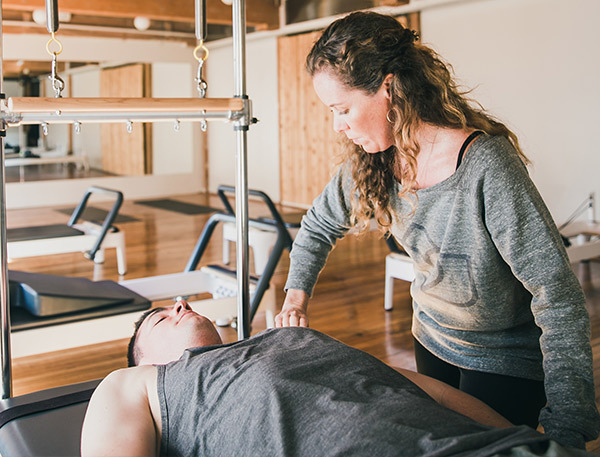 Our physiotherapists, RMTs and Pilates instructors work together to create holistic wellness programs customized to your individual needs. Clinical Pilates is a 1:1 physiotherapy session focused on Pilates-based rehabilitation exercises. Join us for a progressive pre and postnatal Pilates course focused on the pelvic floor and transverse abdominals. Book an appointment with our team of registered massage therapists today! Strengthen your core, rebalance your body, correct alignment, rehabilitate injuries or simply improve and maintain overall health and wellness. Less is more. We offer both private and duet sessions as well as small group yoga classes which focus on technique and personalized attention - right here in the heart of Yaletown! We believe in the healing benefits of combining physiotherapy treatment with Pilates practice, for an integrated approach. A strong and healthy pelvic floor and transverse abdominals are always important to maintain; especially when you are preparing to become a Mommy. Massage therapy has been used as a healing technique for thousands of years and is an integral part of our integrated approach to optimized health and wellbeing. Living an active, happy and healthy lifestyle is what we live and breathe. Our mission is to help our clients live life to the fullest by loving the skin they live in. “I highly recommend this studio. I’m past retirement age and new to pilates. The studio is beautiful and so comfortable and non-intimidating. There are no pressure tactics or hard sell. Just incredibly qualified and talented practitioners. Having physio onsite is a distinct advantage. I’ve been working with Jane Osborne for about seven months and am astounded at the improvements we’ve achieved. I am stronger and more aligned, my posture and balance have improved dramatically, and I feel strong and confident. Fewer aches and pains. It’s easy to give this place a try. 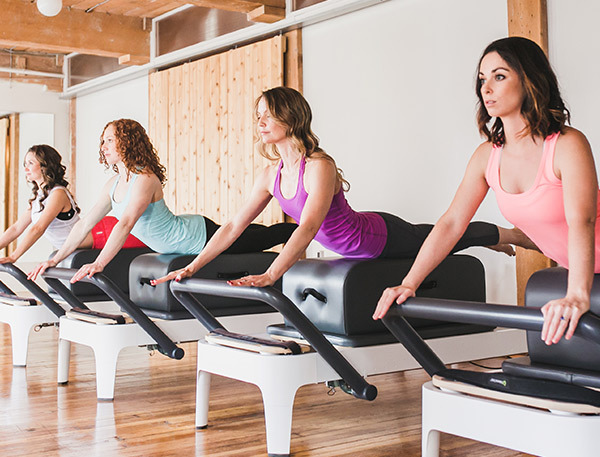 “Having practiced Pilates and yoga at a number of studios in Vancouver, I can honestly say that the quality of instruction and level of expertise I’ve experienced at Form Body Lab far exceeds any other. “I was referred to Jessica after several years of chronic pain. I was off work and my body was just not cooperating. Jessica created a pilates program for me that got me back to work and feeling better than ever! She looked at me as a whole person and worked on my specific weaknesses and imbalances, tailoring every weeks exercises and program to what was going on in my body. It often changed and Jessica easily adapted the exercises she gave me so that I continued to make progress. It was challenging but she made it fun and the hour would always fly by! She was a great teacher too, she broke things down so I would understand the movement and how it felt. She taught me a huge amount of body awareness which helped me to stay active even on the bad days. After years of seeing other health professionals for chronic pain, it was Jessica’s expert knowledge, kindness and patience that got me back to work and out into the world of hiking, biking, playing sports and being active again. If you have pain, give pilates and Form Body Lab a try!